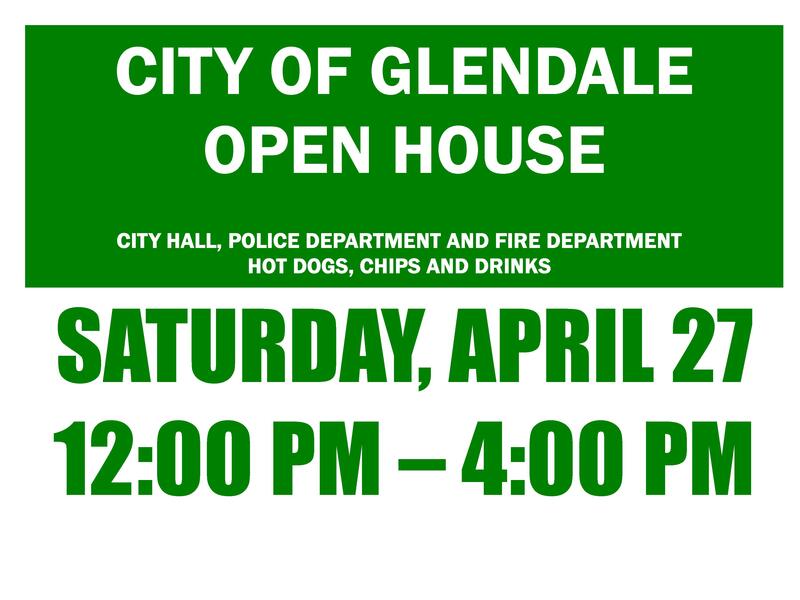 The City of Glendale is hosting an Open House on Saturday, April 27, 2019 from Noon-4 PM. We will be providing tours of the Municipal Complex and Fire House. Free hotdogs, chips and drinks provided! At noon, there will be the Presentation of Colors by Boy Scout Troop 360 and the dedication of Patriots Plaza at the firehouse will follow. 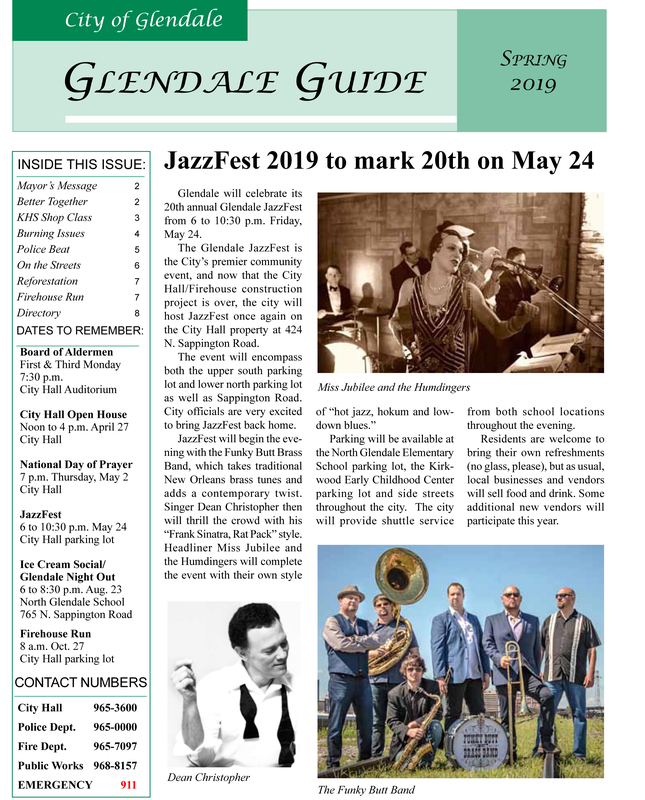 There will then be a recognition of Mayor Richard Magee for his service as Mayor of Glendale since 2005. Republic Services will be on-site to answer any questions about trash/recycling services. We hope to see you on April 27 at the Open House!